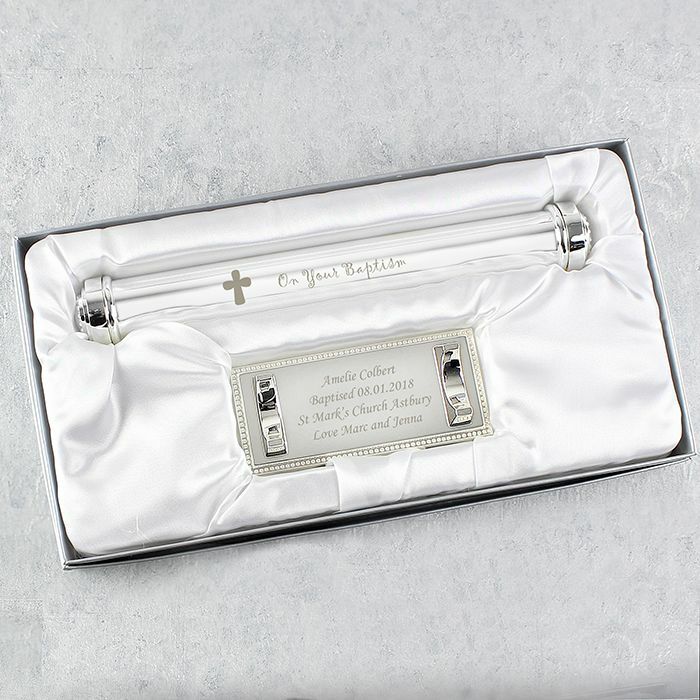 Personalise this gorgeous silver plated 'Baptism' certificate holder. 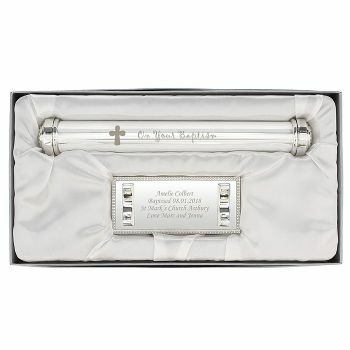 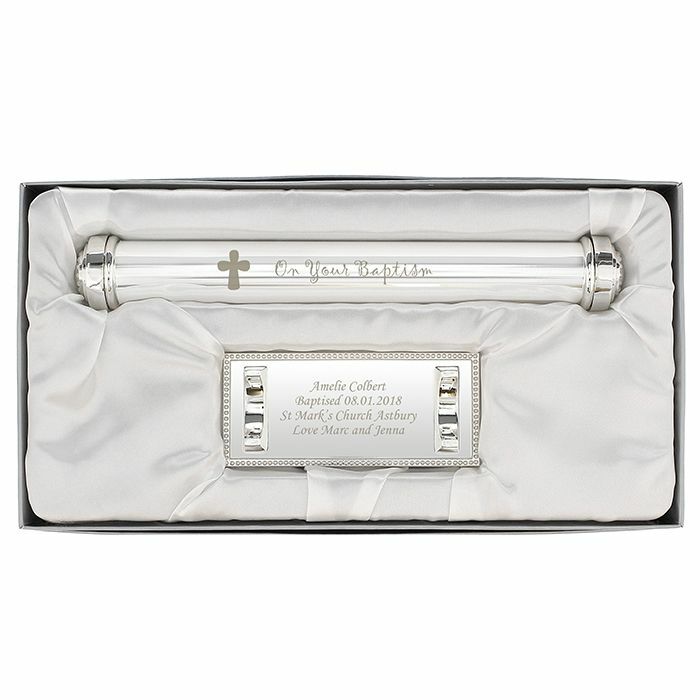 This gorgeous silver plated 'Baptism' certificate holder features a cute cross motif design. 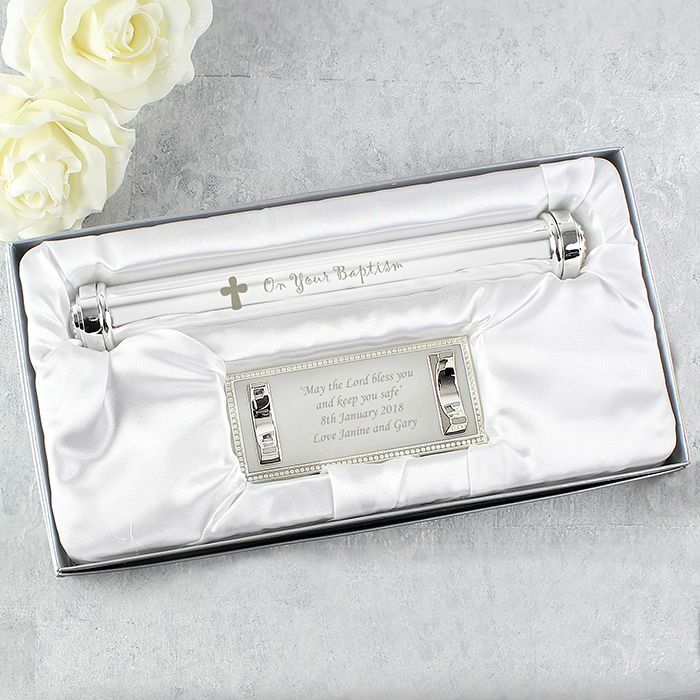 The wording 'On Your Baptism' featured on the holder is standard text. 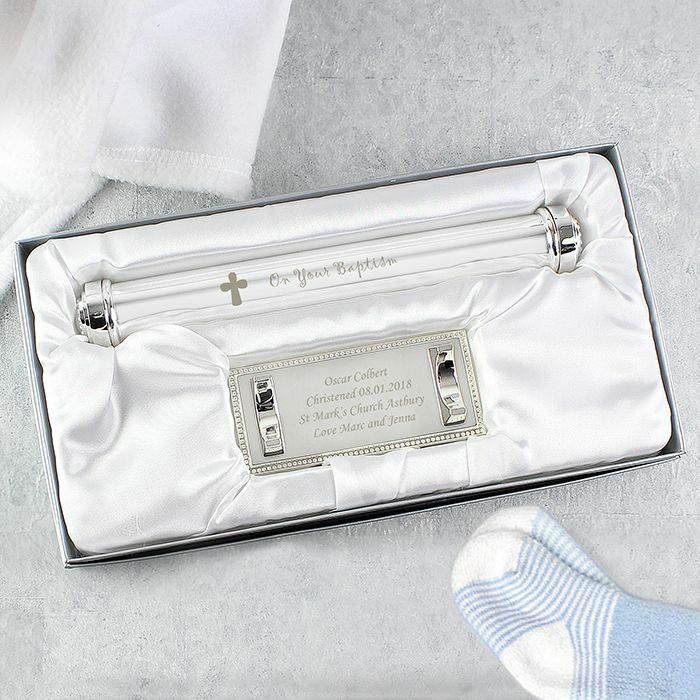 Ideal for Baptism and new borns.